The Congress on Tuesday described Prime Minister Narendra Modi's Independence Day speech as "most disappointing" and slammed him for being "insensitive" towards the deaths of over 60 children in a Gorakhpur hospital last week.The party also said that Modi's promise of curbing black money "remains a sham". "On Gorakhpur, he has not shown his sensitivity and has not actually registered the gravity of the situation that a large number of children, infants, have died because of callous neglect. "He has just in a very trivial manner equated the Gorakhpur tragedy to the other natural calamities. 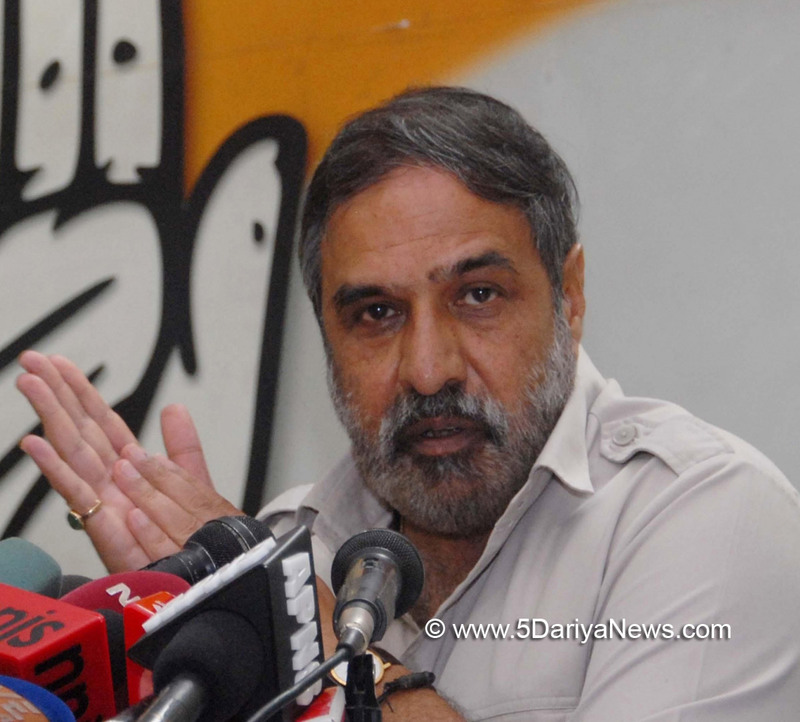 He should have been careful," Congress leader Anand Sharma told reporters here. "His (Prime Minister Narendra Modi) fight against black money was a sham and remains a sham," he added.Sharma said the Modi government has "promoted black money hoarding" and promoted "crony capitalism". Lashing out at the government, Sharma asked, "Why has this government not given an account of how much of black money is there in the money that has come back to the RBI vaults? "Commenting on the Prime Minister's Independence Day address, he said: "After three years, it was time for him to give an account of the failures of his government to deliver on the promises, especially the betrayal of the youth, the farmers and the weaker sections." Sharma said: "Now he is not talking about employment. India is losing jobs, not in lakhs but in millions, and particularly in the informal sector there have been heavy job losses, which has created a very difficult situation for the poor and vulnerable sections. "Post-demonetisation jobs have been lost in tens of millions and similarly post GST," he added.On Modi taking credit for GST, Sharma said: "While the Prime Minister is taking credit for GST and the fight against black money, it would have been better if he had shown some grace and humility to acknowledge the constructive cooperation of the opposition to make GST happen. "The party also hit out at Modi for not addressing "in all seriousness" the increasing attacks from across the borders on the security forces. Sharma said: "Kashmir is a matter of national concern, but the situation has been allowed to drift and deteriorate. "They are in government both in Delhi as well as in Srinagar. The country supports any initiative, which will help in normalising the situation in Jammu and Kashmir. There are many more things which he could have said," said Sharma.He also slammed Modi for the non-appointment of a Lok Pal.The Congress party accused Modi of being disrespectful towards his predecessors and former Prime Ministers of the country. "He (Modi) thinks that it is not his duty to give respect and acknowledge the contribution of leaders like Jawaharlal Nehru, Lal Bahadur Shastri, Indira Gandhi, Rajiv Gandhi, the other Prime Ministers including Atal Bihari Vajpayee. "His government is busy promoting personality cult of one individual," added Sharma.